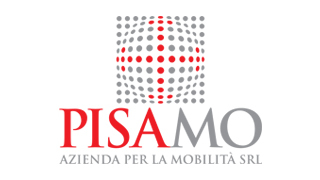 Citizens of the Municipality of Pisa are granted 6 single tickets for the shuttle per month at the rate of € 1,20. These tickets can be purchased from Monday to Friday at the ticket office, by showing the ID card confirming the municipality of residence. For an occasional ride, just buy a ticket from the authorized ticket offices and show it to the turnstiles at the entrance of the stations. Tickets are valid 30 days from the date of issue, with the exception of tickets bought from Trenitalia authorized ticket offices in combination with rail journeys. For a ride combined with the car park, which includes a stay of up to 18 hours and a Pisamover return ticket, you must collect the ticket at the car park entrance, show it at the entry turnstiles to the stations, and keep it until you collect your car. Before leaving the car park, use the ticket to pay at the automatic tellers. The other passengers on the car can purchase reduced tickets for the shuttle introducing the parking ticket at the automatic ticket machines at the entrance of the station.